Take a very close look at the header of Xbox.com's Fallout 3 page. Notice anything strange about it? Familiar perhaps? Well it should look VERY familiar. 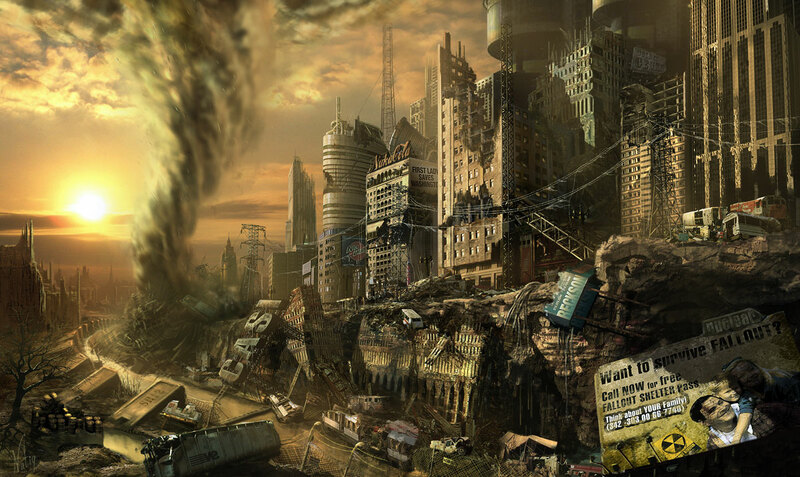 The background of that image comes straight from the Fallout community: Defonten's City Ruins painting. Why did they steal his painting? Well, they probably thought it was official concept art. It's the only thing out there that's good enough to be considered concept art for Fallout 3. Unlike the images released by Bethesda, his painting actually has elements of Fallout in it. Maybe Bethesda should reconsider giving Defonten a job, seeing as how major gaming sites are already using his paintings as "official" imagery. Also, interestingly, the page says that Fallout 3 will be a 2-player game. Thanks very much to Ausir for pointing this out.